Take a trip 65 years in the future as ToonCast goes beyond what it was. Join TFG1Mike, Steve/Megatron, OptimusSolo, and a roundtable of rotating co hosts as they cover all cartoons from the year 2000 to whenever right now is. 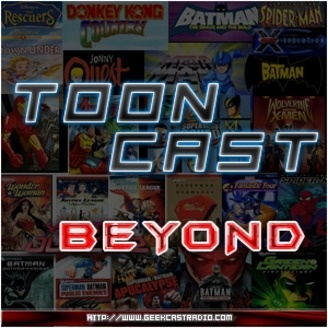 ToonCast Beyond is the continuation of ToonCast, and we will be bringing you weekly reviews of the most current cartoons. There will also be time travel in the form of Delorean Time episodes where we step back in time and cover anything missed in ToonCast Proper. So join us in this journey and Go Beyond your imagination. In Episode 08 of Toon Beyond we continue the DC Universe Animated Original Movies spotlight with Justice League: Crisis On Two Earths. A Good Lex Luthor? Gibbs from NCIS? James Woods as Owlman? Yeah this is definitely a alternate Earth! Toon In Beyonders! 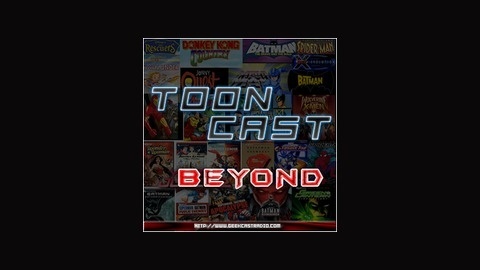 This is the final show of 2011 for ToonCast Beyond, what an amazing first two months the podcast has had!